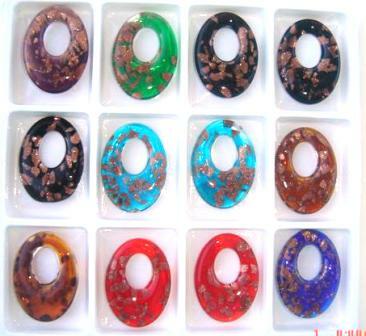 We Are Importer and Distributor Do wholesale Murano Style Glass Jewelry, such as Murano Glass Necklaces and Murano Glass Pendants as well as Magnetic Hematite Jewelry, Puka Shell Bracelets and Necklaces, Mood Jewelry, Shark Teeth Necklaces and Pendants, Bone Necklaces, Sterling Silver Jewelry etc.. TO PLACE YOUR ORDER PLEASE READ FIRST OUR WHOLESALE TERMS , you can order by Phone/Fax or Use Our Order Form. 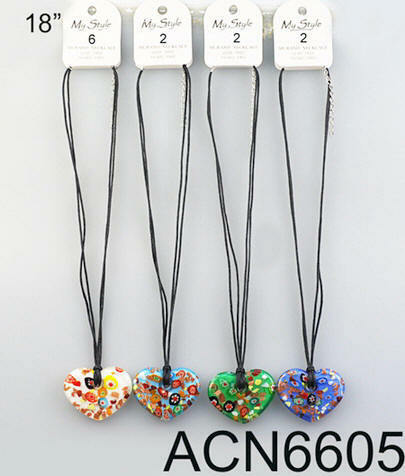 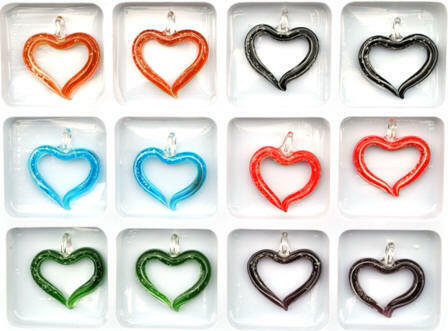 Assorted Color Heart Murano Style Glass Pendants, Cord is Available For Making Murano Style Glass Necklaces $6.00 DZ. 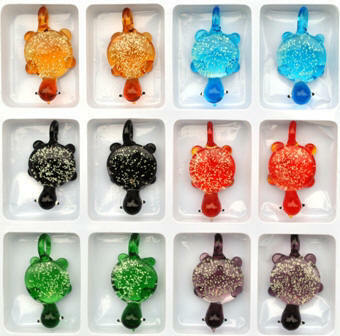 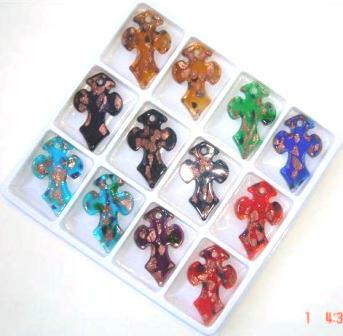 Assorted Color Turtle Murano Style Glow In The Dark Glass Pendants, Cord is Available For Making Murano Style Glass Necklaces$6.00 DZ. 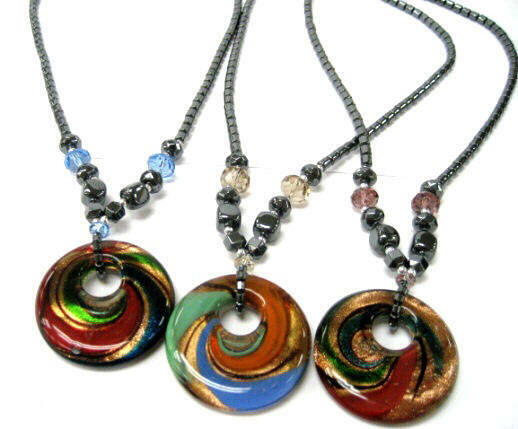 Assorted Color Swirl Murano Style Glow In The Dark Glass Pendants, Cord is Available For Making Murano Style Glass Necklaces$6.00 DZ. 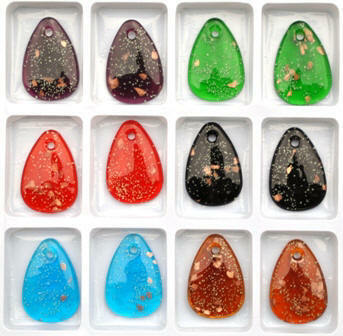 Assorted Color Tongue Murano Style Glow In The Dark Glass Pendants, Cord is Available For Making Murano Style Glass Necklaces$6.00 DZ. 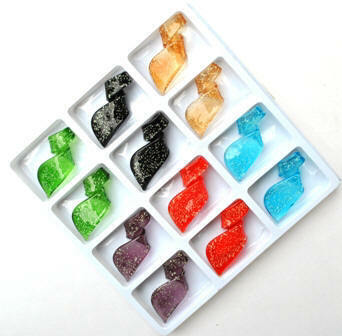 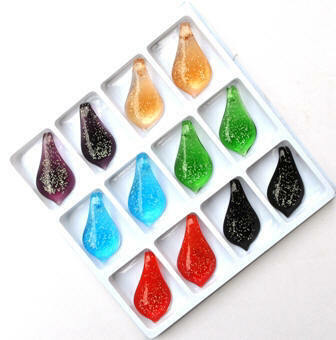 Assorted Color Tongue Murano Style Glass Pendants, Cord is Available For Making Murano Style Glass Necklaces$6.00 DZ. 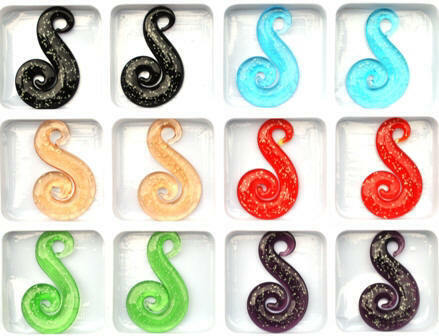 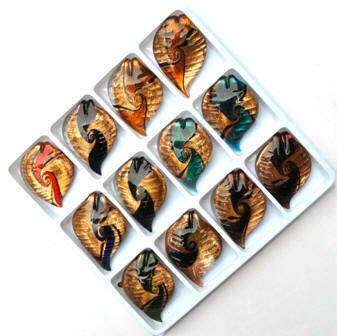 Assorted Color Twist Murano Style Glass Pendants, Cord is Available For Making Murano Style Glass Necklaces$6.00 DZ. 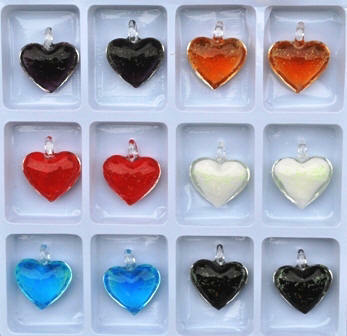 Assorted Color Hollow Heart Murano Style Glass Pendants, Cord is Available For Making Murano Style Glow In The Dark Glass Necklaces$6.00 DZ. 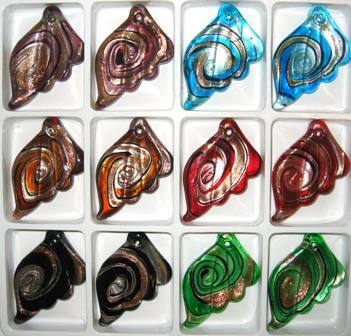 Assorted Color Snail Murano Style Glass Pendants, Cord is Available For Making Murano Style Glow In The Dark Glass Necklaces$6.00 DZ. 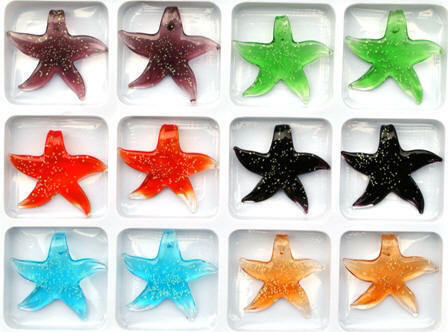 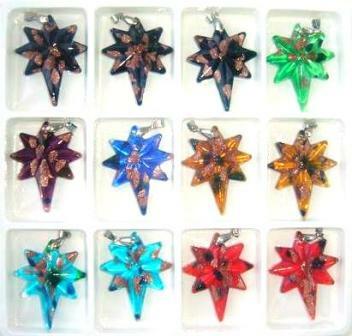 Assorted Color Sea Star Murano Style Glass Pendants, Cord is Available For Making Murano Style Glow In The Dark Glass Necklaces$6.00 DZ. 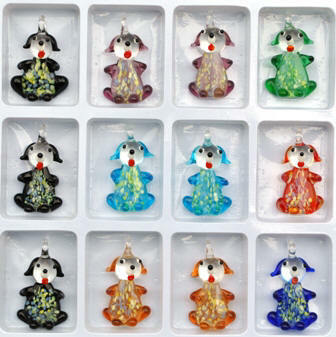 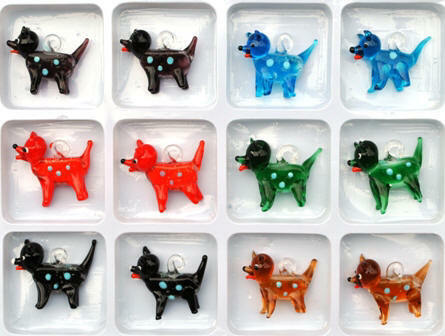 Assorted Color Dog Murano Style Glass Pendants, Cord is Available For Making Murano Style Glass Necklaces$6.00 DZ. 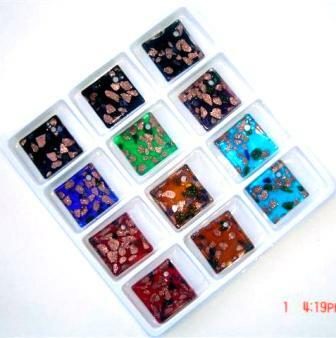 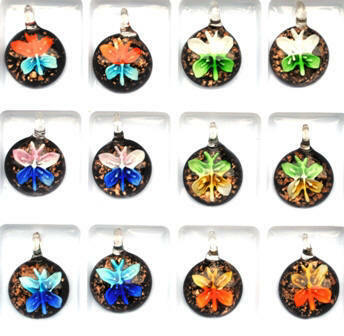 Assorted Color Butterfly Murano Style Glass Pendants, Cord is Available For Making Murano Style Glass Necklaces$6.00 DZ. 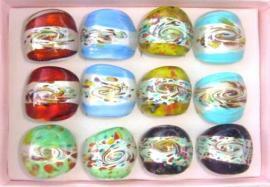 Assorted Color Moon Murano Style Glass Pendants, Cord is Available For Making Murano Style Glass Necklaces$6.00 DZ. 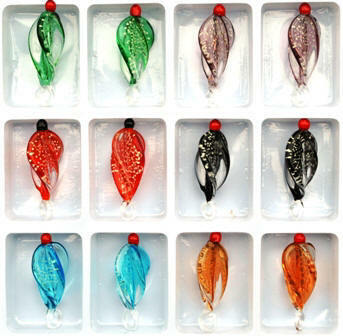 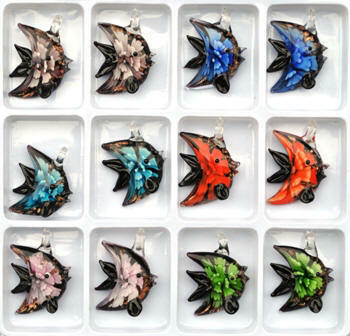 Assorted Color Angel Fish Murano Style Glass Pendants, Cord is Available For Making Murano Style Glass Necklaces$6.00 DZ. 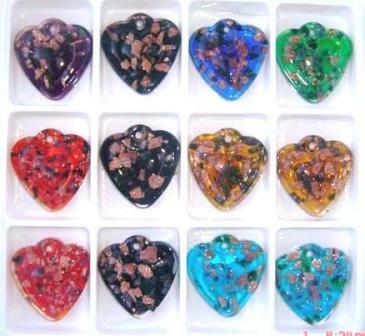 Assorted Color Heart Murano Style Glass Pendants, Cord is Available For Making Murano Style Glass Necklaces$6.00 DZ. 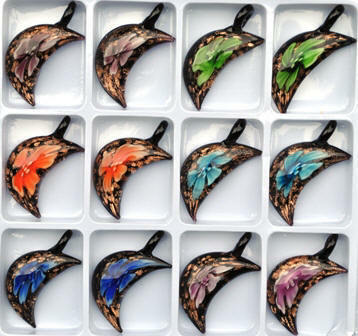 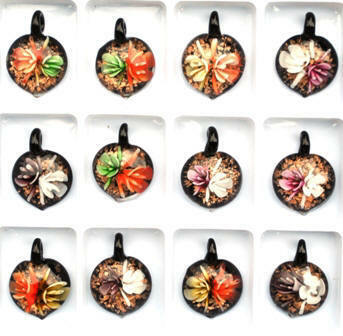 Assorted Color Leaf Murano Style Glass Pendants, Cord is Available For Making Murano Style Glass Necklaces$6.00 DZ. 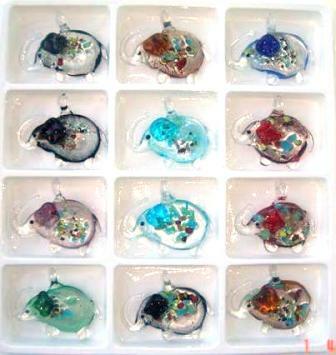 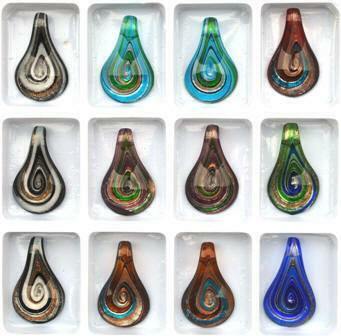 Assorted Color Drop Murano Style Glass Pendants, Cord is Available For Making Murano Style Glass Necklaces$6.00 DZ. 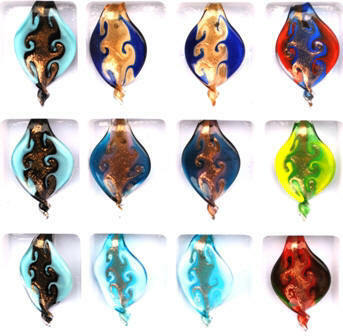 Assorted Color Tear Drop Murano Style Glass Pendants, Cord is Available For Making Murano Style Glass Necklaces$6.00 DZ.